Japan is known throughout the world for its ancient and unique culture, and the many beautiful arts (especially visual arts) produced by the nation. 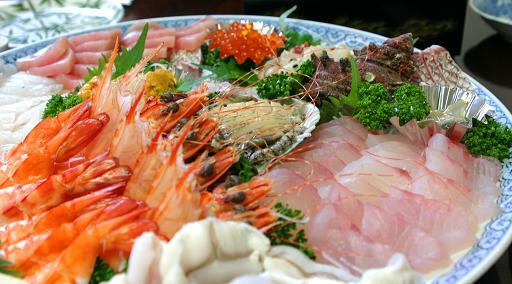 Overseas, the best known Japanese foods include sushi and sashimi, but there are also many other excellent dishes served hot, including a wide variety of meat and seafood dishes. Japanese food is often not only a treat for your tastebuds, but a visual feast for your eyes too. 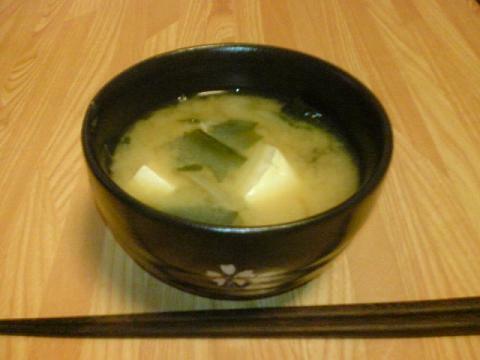 Agedashi dofu - Cubes of tofu in a hot broth. Champon - Medium yellow noodles in chicken broth. Chawan mushi - Chicken, meat or seafood, with vegetables, steamed in egg custard. Gyudon - With seasoned beef. Katsudon - With deep-fried breaded chicken cutlet (chickendon) or pork (tonkatsudon). Oyakodon - With chicken and egg. Tendon - With battered shrimp and vegetables. Hayashi rice - Beef stew served on rice. Kakuni - Cubes of pork belly stewed in a sauce. 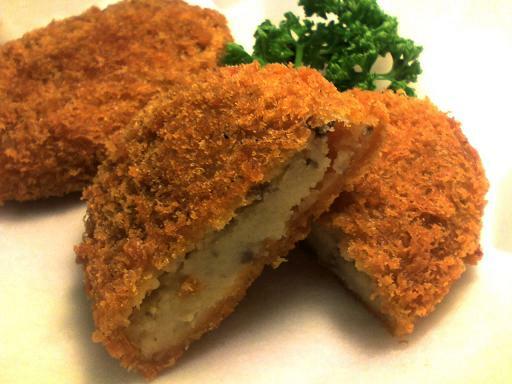 Korokke - Breaded croquettes containing mashed potato or white wine sauce, with ground meat, seafood or vegetables. Kushikatsu - Meat, seafood or vegetables bread and deep fried on a skewer. Omurice - Omelette filled with fried rice. Usually chicken rice (rice with chicken and ketchup) is used, and sometimes the dish is flavored with beef stock. Ramen - Thin noodles in chicken or pork broth. Sashimi - Very fresh raw seafood cut into thin slices. Shabu-shabu - Beef, vegetables and tofu cooked in stock in a hot pot. This dish is cooked at the dinner table, and pieces of the food are dipped into a soy-based or sesame-based sauce before eating. Sukiyaki - Thinly sliced beef and vegetables cooked in a hot pot. Dinners cook at the table, and then dip portions of the food into raw egg before eating it. 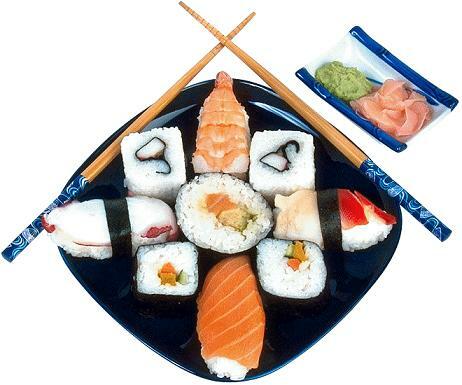 Sushi - Vinegared rice topped with fish, seafood, meat or vegetables. Takoyaki - A battered dumpling containing baby octopus inside. Tempura (for example Tempura Shrimp) - Battered vegetables or seafood. Tempura is made in a very light batter and often eaten with a dipping sauce, or served over donburi (steamed rice), over soba (buckwheat needles), or on top of udon soup. Teriyaki - Chicken, fish, meat or vegetables glazed with sweetened soy sauce (teriyaki sauce), then grilled, or pan-fried. 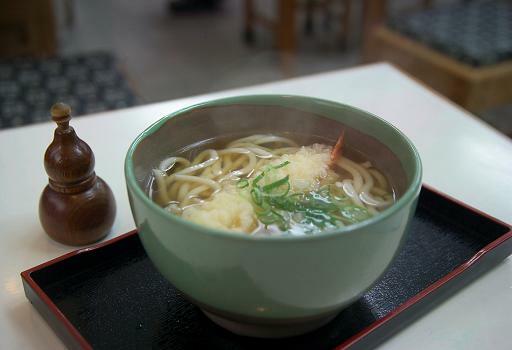 Udon - Noodle soup. It is sometimes topped with tempura or deep-fried tofu. Learning To Make Sushi At Home Is A Growing Trend. Sushi Guy's Popular E-book Shows Aspiring Sushi Chefs How To Do It Themselves! Enjoy the best Japanese food at home with more than 100 dishes from the gastronomic megacity, including favorites such as miso, sushi, rice, and sweets. While many people enjoy an almost cult-like reverence for Japanese cuisine, they’re intimidated to make this exquisite food at home. In this comprehensive cookbook, Maori Murota demystifies Japanese cooking, making it accessible and understood by anyone interested in learning about her native food culture and eating well. Inspired by Murota’s memories of growing up in Tokyo—cooking at home with her mother and dining out in the city’s wonderful restaurants and stands—Tokyo Cult Recipes offers clear and concise information on key basic cooking techniques and provides guidance on key ingredients that home cooks can use to create authentic Japanese food anytime. Tokyo Cult Recipes is packed with dozens of mouthwatering, easy-to-make recipes for miso, sushi, soba noodles, bentos, rice, Japanese tapas, desserts, cakes, and sweets, accompanied by helpful step-by-step photographs. 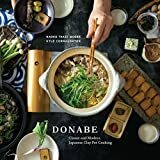 This fabulous cookbook is also a visual guide to this extraordinary city, bringing it colorfully to life in gorgeous shots of food markets, Tokyo street scenes, Japanese kitchen interiors, and more. Cooking a wide variety of Japanese meals doesn't have to require a lot of effort, multiple cookbooks, and guesswork. Here's the key to making delicious Japanese food at home tonight. People love Japanese cuisine, but very few prepare it themselves. Japanese Cooking Made Simple provides the basic techniques and recipes that unlock your ability to prepare delicious, authentic Japanese meals to enjoy with friends and family at home - without requiring significant investments in time and money to do so. Japanese Cooking Made Simple contains more than 100 easy-to-follow authentic Japanese recipes with ingredients you can find in your local grocery store. Sushi and bento boxes will become part of your weeknight meals, as will Ramen with Braised Pork Belly, Tempura Soba, Fried Tofu in Broth, California Rolls, Pan-Broiled Salmon with Scallions, Chicken Yakitori, and Green Tea Ice Cream. Step-by-step instructions and illustrations will have you preparing sushi, including norimaki and temaki, with ease. Color photos help you put a beautiful Japanese dish on the plate. In Japanese Cooking Made Simple, Salinas Press has once again created a cookbook that provides home chefs not only with a wide variety of delicious recipes to choose from, but also the simple tools to make it easy. Cooking expert and lifestyle guru Harumi Kurihara has won over the hearts of Japanese home cooks with her simple, delicious recipes. After selling millions of copies of her cookbooks, magazines, and housewares in her home country, this charismatic former housewife now shares her award-winning kitchen secrets with Americans for the first time. These elegant, effortless recipes reflect Harumi's down-to-earth approach to Japanese cooking. 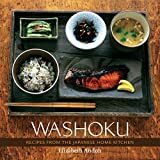 Simply written and featuring everyday ingredients, recipes include Pan-Fried Noodles with Pork and Bok Choy, Warm Eggplant Salad, Japanese Pepper Steak, Seafood Miso Soup, and Harumi's popular Carrot and Tuna Salad, along with a chapter on simple ways to make delectable sushi at home. Demystifying Japanese cooking and celebrating freshness, seasonality, and simplicity, this delightful book introduces Americans to one of the food world's brightest stars, and invites us to cook with her, one gracious dish at a time.